Childish Gambino (aka Donald Glover) and Rihanna's film Guava Island will now stream on Amazon Prime, reports Variety. Amazon Studios announced the same on Wednesday stating that the film will premiere on the streaming service on 13 April. 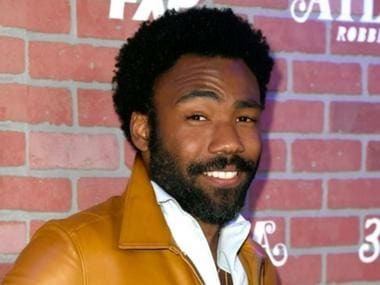 Glover confirmed the news by sharing the news on social media, adding that Guava Island would be available for free viewing. The video will be available till 6 pm Saturday. Penned by Glover's brother Stephen, Guava Island has been helmed by Glover’s Atlanta collaborator Hiro Murai. The film has been backed by Fam Udeorji, Carmen Cuba, Glover and New Regency, who has also financed the project. Stephen Glover, Murai, and Ibra Ake serve as executive producers. Guava Island will premiere at the Coachella Music Festival on Thursday, a day before Childish Gambino performs at the festival. In addition to streaming on Amazon Prime, the movie will also stream on Twitch.tv/primevideo at 5 p.m. PT on Saturday for free.